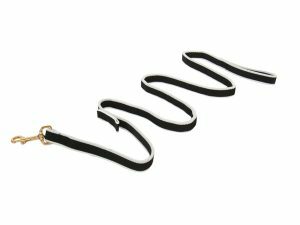 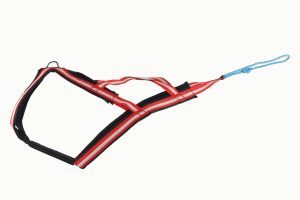 Dragrattan's most common harness. 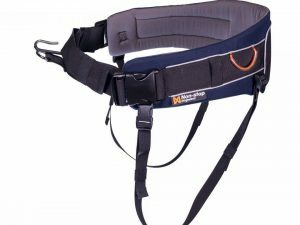 This is a strong fully padded harness. 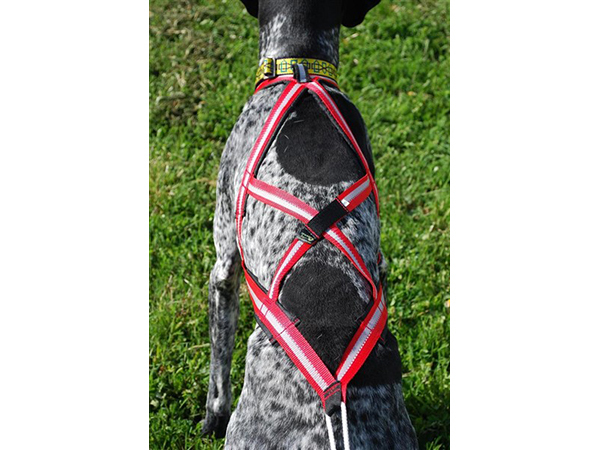 It has reflex reflective tape on the neck for helping to see your dogs in the dark with a head lamp. 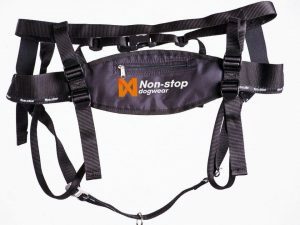 Made for working dogs, from strong webbing and good overall shape. 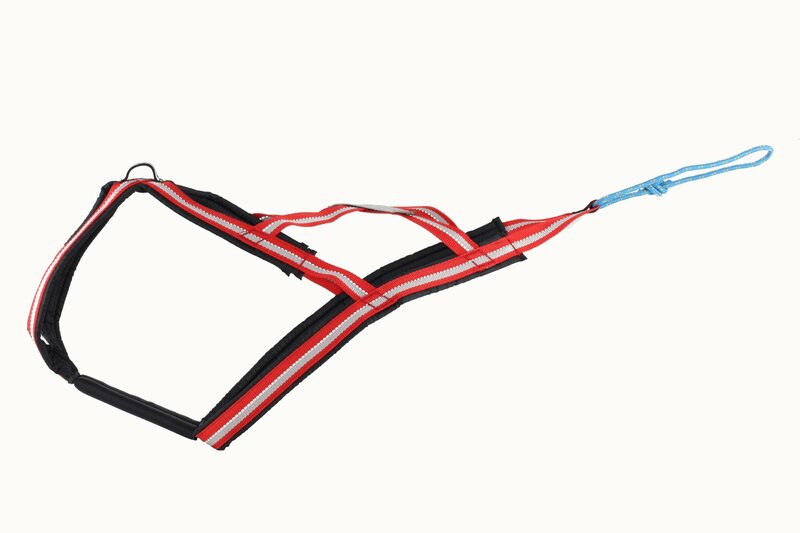 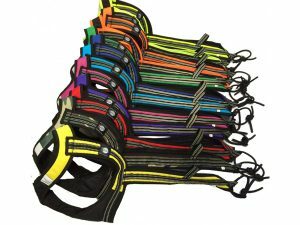 This is a good general purpose all round harness from recreation to competition.